When you run a business you need to have the proper tools to help you when it comes to your billing and payments. We offer you a great template that will have you creating your billing statements with ease. Our billing statement software is easy to download and makes everything easy for you. This allows you to tend to the other areas of your business knowing that you have your statements covered. When you want your business to excel, you want to have tools and resources available to you that will help you achieve your goals. Our template is a great tool that will help you to get your business where you want it to be. When you use our template to send your monthly billings you will appreciate the fact that your totals will be calculated automatically and there is even room for reporting any past due amounts. Downloading the template is the first step. It is available to download for free on this page. The download process only takes a moment and you will be on your way to creating your billing statements with ease. You will be able to customize the template easily. All you do is enter your customer’s information and appropriate information. You also need to enter the billing information and the template will calculate the totals for you. When it comes to creating your business statement you will see that this template is very easy-to-use and walks you through the process. All you have to do to begin using it is to download it right here. 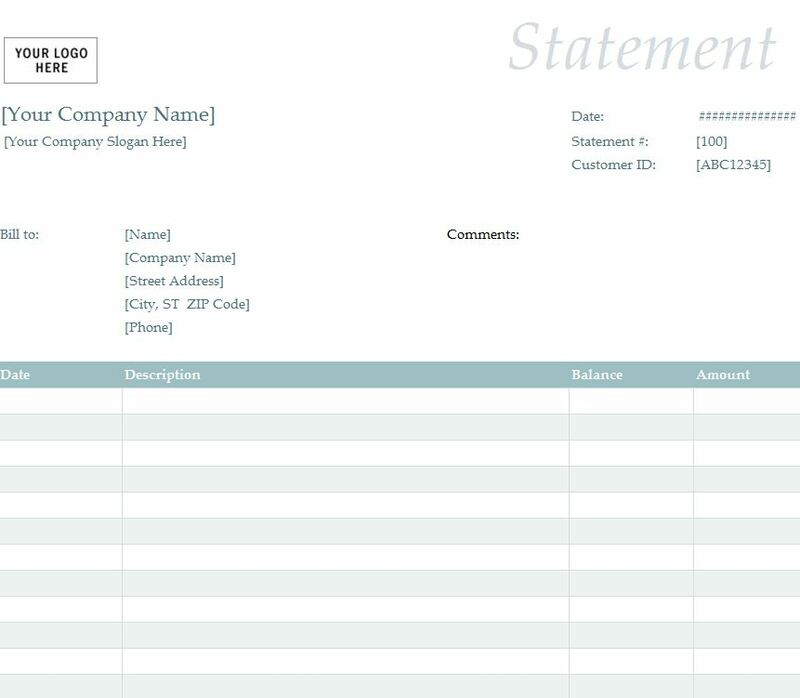 Once you download the billing statement template you can pull it up and create your statement quickly. Enter the information in the appropriate fields. The template will calculate the totals for you, but you need to double check your amounts and make sure you have entered the correct numbers. You should consider adding a clear company logo into your template and adding a personal message to your customers. This will add a personal touch to your billing statement.